Gilbert AZ Area Information with advanced real estate search of homes for sale. Gilbert AZ Area Information includes Gilbert AZ real estate market facts, major employers and condos and homes for sale in Gilbert AZ displayed by home feature, school district, schools, zip code, price range, popular subdivisions, etc. 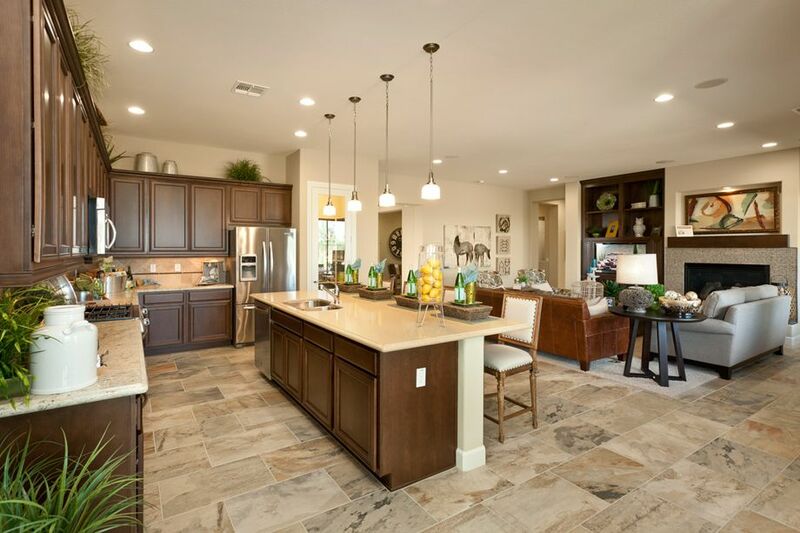 In the southeast quadrant of Phoenix, you'll find the charming Town of Gilbert with many new shopping centers at every exit along the recently completed San Tan 202 corridor and the new San Tan Village Open Air Mall. The Red Mountain 202 loop east of I-10, US 60 and the 101 Loop provide easy access to work from new, beautiful Gilbert family neighborhoods with new schools, parks, ballparks, walking paths and open spaces in this young, progressive, master-planned city. The Gilbert AZ prospectus will explain why Gilbert is so popular with business as an expanding Tech Center in the path of growth extending south and east into Pinal County. Gilbert is a popular destination because of its close proximity to high paying jobs, excellent Gilbert schools, local Chandler-Gilbert Community College, ASU Main Campus and Business and Technology Campus, low crime, San Tan Village Mall with lots of shopping, quality medical care at Banner Gateway Medical Center, Dignity Mercy Gilbert Medical Center, parks, recreation facilities and transportation system including nearby Phoenix-Mesa Gateway Airport. Gilbert offers an exceptionally high quality of life and residents are proud to call Gilbert their home. Home buyers should check out values of homes for sale in Gilbert AZ today! The average sales price of Gilbert AZ homes for sale is up 7% to $381,433, closing at 99% of the list price after 55 Days on Market.  See all Gilbert Real Estate Stats. Town of Gilbert is a young community with a median age of 32.7 years that is well educated with 40.9% of the residents having graduated from college and an average household income of $85,187. Sales tax is 8.8%. From 2000 to 2010 census, Gilbert grew 90% over the decade to a population of 208,453 residents. In 2013 Gilbert's population rose to 229,972, which is a 10% increase in 3 years. February 2016 the population census was done again and Gilbert had grown to 247,542. At this rate, build-out is anticipated to occur in 2030 with a population of 300,000. Gilbert is the largest town in the U.S. because they want to preserve a strong sense of community where neighbors know, care about and support each other. Gilbert community profile provides the town's history and the City of Gilbert provides data about employers, utilities and additional information about Gilbert. Gilbert Demographic Data includes population studies, schools, and employment in the area. Check out what's happening in Gilbert at Gilbert Arizona Chamber of Commerce website. 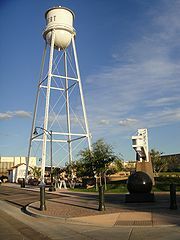 Gilbert is a young, dynamic city and a very desirable place to live by everyone who has lived here any length of time. In fact, Gilbert has recently been recognized nationally by both Money Magazine and Business Week as being #36 of "100 best places" to raise a family and the best place in Arizona to live. Scottsdale is at #71 is the only other city in Arizona named in the top "100 Best Places". Congratulations to both cities for the recognition of all the hard work to make your communities the envy of the rest of the country. In October 2014 Gilbert was named by Money Magazine as #22 out of the 50 Top U.S. cities to Live with a population between 50,000 - 300,000 residents! In December 2014 WalletHub named Gilbert #3 best place to find a job out of 150 of the largest U.S. cities!! Take a look at Gilbert real estate before you consider buying anywhere else. These are just a few of the reasons why Gilbert Arizona is on the CNN Money 100 Best Places in the U.S. In addition to being the Safest City in Arizona, Gilbert, Law|Street has named Gilbert as #2 of the top "100 Safest U.S. Cities" based upon current FBI crime statistics! "BEST PLACES TO LIVE IN AMERICA 2014"
Gilbert has a number of high-quality hospitals including Banner Health and the University of Texas M.D. Anderson Cancer Center have partnered to operate a cancer hospital on the Banner Gateway Medical Center campus in Gilbert AZ. Mercy Gilbert Hospital, Banner Gateway Medical Center, MD Anderson Cancer Center, and Gilbert Hospital. See Chandler, Mesa, Phoenix and Scottsdale world renown medical facilities serving our area including the Mayo Clinic in Scottsdale and Mayo Hospital, Phoenix Children's and Barrow Neurological in Phoenix. New Gilbert Mercy Hospital is both beautiful and provides advanced state-of-the-art medical care, too! Gilbert has a strong employment with the list of major employers including: Banner Health, Banner MD Anderson Cancer Center, Walmart, General Dynamics, Target, Mercy Gilbert Hospital, GoDaddy.com, Fry's Food, Lockheed Martin, Orbital Sciences, Dillard's, Costco, BH Drywall, Stucco and Painting, and Hunter Contracting. Closed Sales of homes for sale in Gilbert AZ DOWN 3%, average SOLD Price UP 7% and available inventory of 2.9 months, comparing March 2019 MLS SOLD data vs March 2018. This is a great time, but also a very competitive time, to be buying Gilbert real estate, an area in high demand. Gilbert real estate market is strong and offers great buying opportunities in this most desirable community. Foreclosure and short sale distressed properties are all but gone and so are most cash investors hoping to scoop up a bargain. Gilbert real estate is producing high rental investment income because there are many young, affluent residents, who aren't ready to buy yet, still want to be part of the Gilbert experience. Price Comparison of Detached and Attached Gilbert Properties - average March 2019 sales price of homes for sale in Gilbert AZ is $381,433 and average sales price for Gilbert AZ Condos, Lofts, Townhouses and Patio homes for sale is $226,904. Gilbert real estate is a Strong Seller's Market with a low 2.9 month supply of Gilbert homes for sale based upon the current absorption rate. There are very few attached properties in Gilbert, but there is high demand for the few that are for sale! This is one of the best times in years to buy your Gilbert home even though sales prices are higher than they were a year ago due to continued high buyer demand for safe neighborhoods and great schools. But sellers must make ALL repairs before putting your property on the market and follow guidelines for staging your home for success to get top dollar for your home. Home buyers are eager to purchase Gilbert real estate in quality neighborhoods including: Seville homes for sale, Power Ranch homes for sale, Val Vista Lakes homes for sale, homes for sale in The Islands, Markwood Ranch homes for sale, Morrison Ranch homes for sale, and Shamrock Estates homes for sale at prices well below our peak of 2006 with an adequate supply of homes for sale Gilbert AZ to offer multiple choices. Unlike traditional sales, foreclosed Gilbert homes are sold "as is" without repairs. There is a very limited supply of Gilbert AZ foreclosures and you can expect the sales price of these homes to be at or above list price. Buyer demand remains high. Gilbert real estate listings of homes for sale in Gilbert AZ are updated daily. Search Gilbert real estate for condos, foreclosure, investment property and houses in retirement communities. Before purchasing a home, review the most recent 2017 - 2018 school year performance Letter Grades for Gilbert Schools, compiled by Arizona Department of Education, based upon standardized test results released October 5, 2018. The four school districts educating Gilbert students are Gilbert Unified School District, Chandler Unified School District, Higley Unified School District, and Mesa Unified School District. Town of Gilbert school boundary map shows which area of Gilbert is served by Chandler, Gilbert, Higley and Mesa school districts. Mesa school district serves an area less than a .5 square mile annexed into Gilbert north of Baseline Road around Banner Gateway Hospital between Pierpont Drive and west of Higley Road. Looking for homes for sale in Gilbert AZ served by the best Gilbert schools in the best performing school districts serving the Town of Gilbert? See homes for sale in Gilbert AZ in the Gilbert Unified School District. Here are Gilbert homes for sale in the Chandler Unified School District. See those homes for sale in Gilbert AZ in the Higley Unified School District. Search Gilbert homes for sale by Gilbert Zip Code: 85233, 85234, 85295, 85296, 85297, 85298. Gilbert is a wonderful place to live, so contact Sam to help you find your ideal Gilbert home. My full services include a complimentary appointment with a professional staging consultant to evaluate your home's buyer appeal and make recommendations. Contact Sam to request additional information and return often to my website to view continuously updated real estate listings of homes for sale in Gilbert AZ.